I can't believe this sweet boy is already 6 weeks old!! Considering that's length of some people's maternity leaves, I feel like Bennett is not supposed to be this old yet! Where we last left off, Bennett's hemoglobin had hit 7.1 on Thursday, so we spent all day last Friday getting a blood transfusion. Bennett was less than excited about it. It took them FOREVER to get his line in because his veins are so tiny. Look at how pale he is here, poor guy. After they finally got his line in, it took another 3ish hours to get blood for him. And then it took another 3 hours to get the blood into his body. Such a long, boring day! 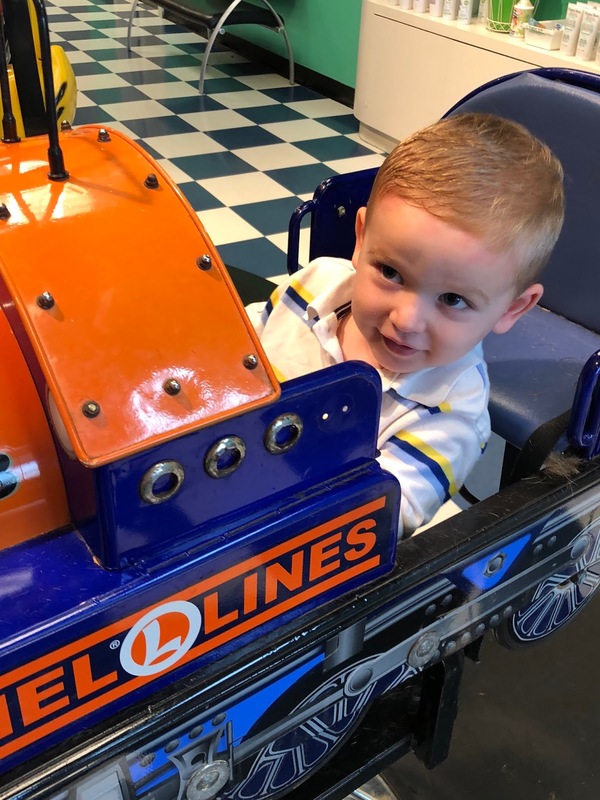 But praying this is his last stop on his HDN rollercoaster, like it was for Lucas! 1. Sitting on the ball "like an egg"
After a quick outfit change in the car, all 5 of us were off to Disney on Ice! Lucas spent the first half of the show kicking the chair of the guy in front of us. We finally got smart during the intermission and bought him some popcorn to keep him occupied! And of course, once the popcorn was gone, Lucas decided the empty bucket made an excellent hat. All 3 kids loved the show! Especially the Mickey Mouse, Frozen and Cars parts! Ella somehow suckered me into getting a haunted house kit from Target, so we made that Saturday afternoon! We had a very GSD (get sh*t done) morning, and then I snuck off to a baby shower during nap time. 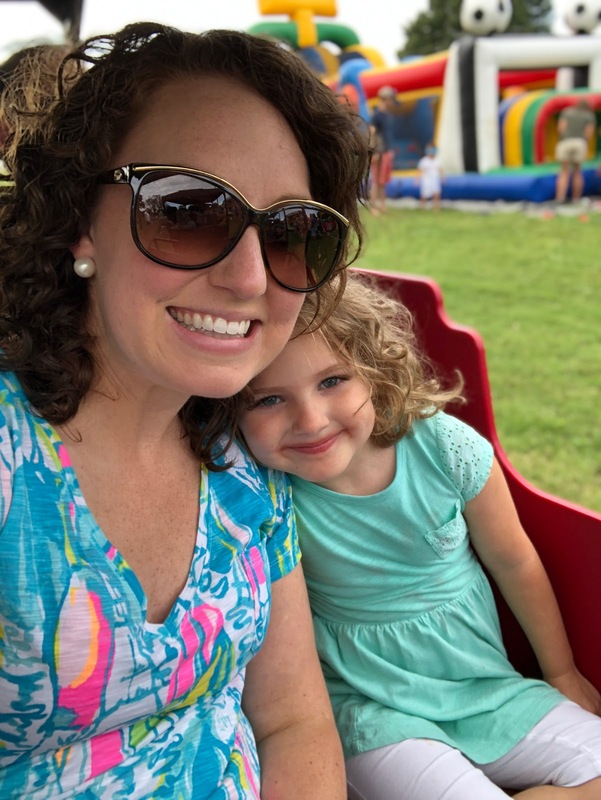 After nap, Ella and I went up her preschool where they were having a 40th anniversary celebration! She loved her rainbow Kona Ice, and showing me around her classroom! We also took a little train ride together and promised each other not to tell Lucas (he was still at home napping and would have been very jealous!). Bennett went to his first story time at the library! He slept through the whole thing. Afterwards, Lucas played with his friend Cooper! These boys are just the cutest together. When we picked Ella up from preschool, she was very excited to show us that it was her turn to bring home the Sharing Box! Each kid gets a turn to bring something from home into share. It must fit in the box and they have to come up with 3 clues to help their classmates guess what it is. Ella chose to bring her stuffed animal Rocky! We also celebrated the fact that it was October (even though it still feels like August) by dressing Bennett up as a cute pumpkin! 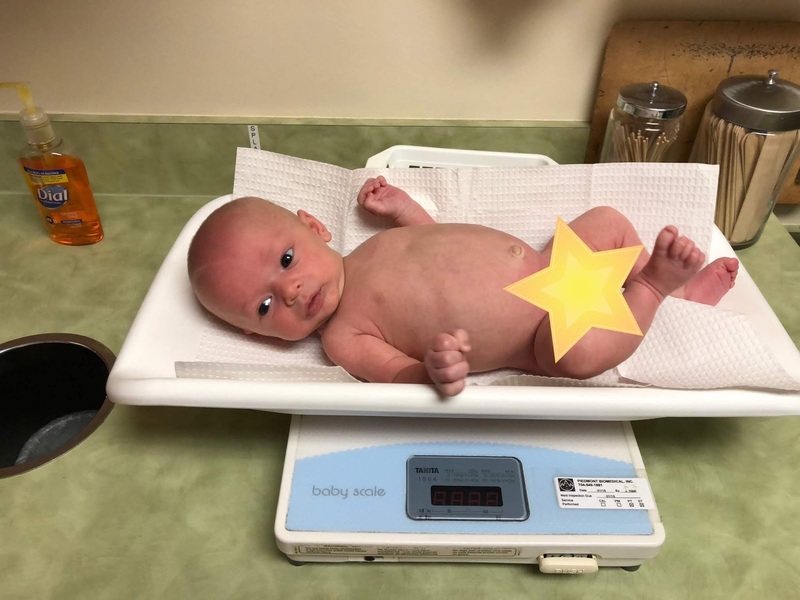 We had Bennett's one month check up! He is up to 7 pounds, 15 ounces and his hemoglobin is now 12.7! I also FINALLY got a newborn insert for my Ergo, so we tested that out while I vacuumed! Bennett was a fan! Oh, and I finally cleaned Lucas's old wubbanubs (he was only interested in them for like a month, so I figured we could reuse them for Bennett). Look at all 3 of my sweet babies and their wubbanubs! I had my "always-fun" postpartum check up! I got the green light to go ahead and run again, so I literally came home and headed right for the treadmill! I've only lost about 15 pounds this time around; no idea why the weight is coming off so much slower with baby #3! So 30 more pounds to go = lots of running! It's the only thing that works for me! Bennett was an excellent cheerleader...he slept the whole run. Glad the loudness of the treadmill doesn't bother him! ...followed by Avondale Adventures! Not pictured: Lucas's 25 minute meltdown because he didn't want to eat dinner there. Fun times. Luckily, we escaped to the playground, and he did end up eating a whole piece of bread for his dinner. This was also the day Ella brought home this adorable class book to read to us! Reminds me of all the class books we made when I taught kindergarten! Each child had a page, and this was Ella's! It was so interesting to me to read about all of her classmates! Also...let me tell you the last time Ella took "a walk on her bicycle" while I "walk beside." Maybe 2017?! Ha. Where does she get this stuff from?! And of course we had to all wear our Halloween jammies and take a picture! I won't even tell you how many tries it took to get Lucas to cooperate...and he's not even really cooperating here! Our pediatrician suggested I put Bennett in the Pack n Play (instead of the Rock n Play) to help his head shape since it was already starting to look a little funky at his appointment Tuesday. He looks so tiny in the big ol' PNP! Lucas needed a haircut BADLY, so we finally made it over to Doolittle's for one! We picked Ella up from preschool and then had to go get a "cut" of another kind for Bennett! Yes, I know its horrible I waited this long to do this...but they don't do it in the NICU and this was the soonest I could get him in with the #1 recommended children's urologist in Charlotte! Bennett was actually super good and hardly even cried!! Once we got home was a different story though. He was screaming in pain all afternoon so I finally gave him some infant Tylenol. He seems to be doing much better today, just in time for the weekend!!! Hopefully no more traumatic transfusions/needles/procedures in his future, since he has had enough of that this past week! 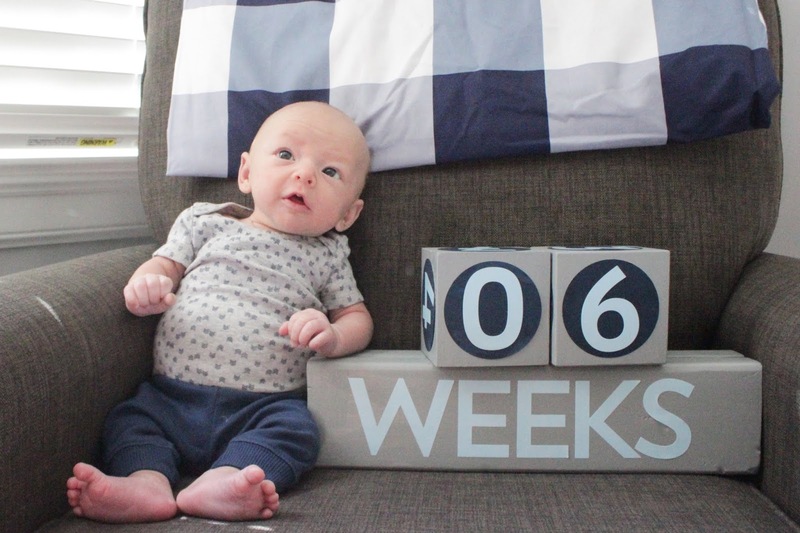 I can't believe he is already six weeks old! I'm glad the transfusion went well even if it was super long! Disney on Ice looks like it was fun for all involved - except for the man sitting in front of Lucas! Haha!